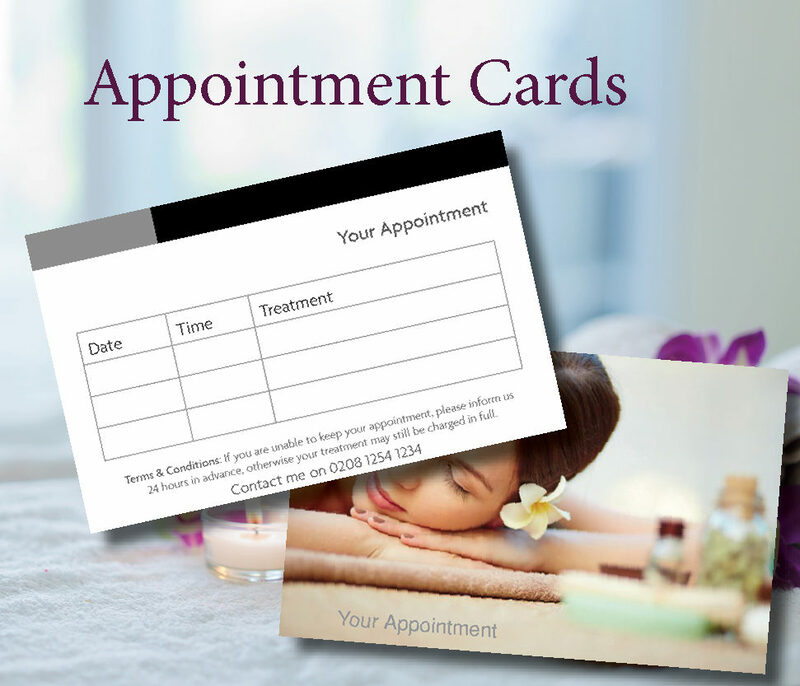 Our appointment cards are printed double sided on 400gsm uncoated card stock so you can write your customers details and next appointment on them with a ballpoint pen. Printed in full colour on both sides, offering a low price appointment card to your customers with the highest quality print and finish. 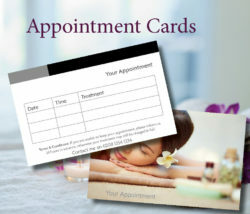 These cards can also be used for voucher cards and loyalty cards with a stamp. For print runs above 1000 cards please contact us for a bespoke quote.